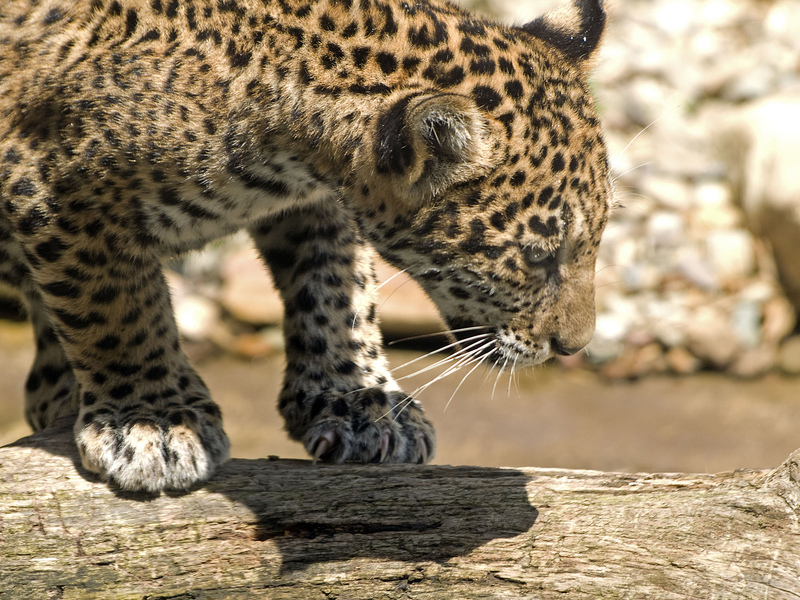 Recently, 18 Latin American countries and several non-governmental organizations (NGOs) came up with a new plan to save jaguars (Panthera onca): the Jaguar 2030 Roadmap. Part of the new strategy to conserve the Americas’ largest cat included the establishment of the first ever International Jaguar Day. Today, November 29, is that day. If you ask me, that sounds like the perfect holiday. I love how Panthera makes it clear that jaguar conservation is not just about jaguars: it helps to safeguard the ecosystems that countless other species, including humans, rely on. We are all embedded in this Earth, and we all have a stake in its future. A great way to honor International Jaguar Day would be to take a few minutes to learn about this audacious cat. Panthera has a page that is full of information about jaguars, which is located here. Another great site is the IUCN’s (International Union for the Conservation of Nature and Natural Resources) assessment for Panthera onca: it contains much of the fundamental information about jaguar conservation. Also, for those who are so inclined, I have included links to some of my most popular jaguar-related posts in the “Further Reading” section below. Happy International Jaguar Day! I hope you will set aside some time to learn about this incredible cat today, and to tell others about them as well. Purr-rawr! Happy International Jaguar Day to you too, Josh. I hope these efforts are hugely successful. Hugs. Thanks Teagan! I hope these efforts make a difference too. Hi Josh! The sterling work you do advocating for these beautiful cats is admirable. I hope we all, especially we learn that “…jaguar conservation is not just about jaguars: it helps to safeguard the ecosystems that countless other species, including humans, rely on.” can do our bit support initiatives like these. Happy International Jaguar Day! Thanks Khaya! It’s never just about the species in question: conserving a single species requires many other factors as well. Hey, I didn’t know that! I think it’s sad that humans have to be reminded that something affects us too, to care about or give relevance to how our activities affect other living things. That said, this Jaguar Day is a great idea. Let’s just hope people remember the true meaning of it! Well, the assumptions is that humans will care more about something if it affects them directly. I suppose that in many cases that’s true, but likely not all. Haha, we should make “Keep Conservation in Jaguar Day” bumper stickers, like people do for a certain historical figure in a certain holiday that takes place in December. Historical or mythical? Who really knows? 😂🤣 I do think bumper stickers for the jaguars could work. Anything to keep awareness alive Look how people have completely changed the meaning of Shark Week. It can happen! Lol, I’m going to have to patent this bumper sticker idea then! Buahahahahahahaha! I think you are a 100% correct. I’ll do my best not to mention it to him before he gets any ideas. He’s an ambitious little fella!